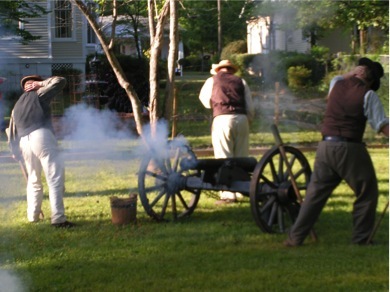 Major Edward White, started the family tradition of cannon firing. Major White served as an officer in Lafayette’s Light Infantry during the American Revolution. After the war, he made it a rule and duty to celebrate, with his neighbors, all the battles of the Revolution that he had fought in. 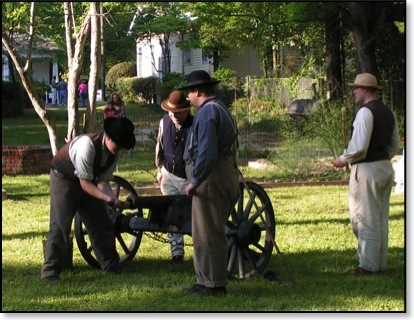 He had a four-pounder cannon on his plantation near Milledgeville, Georgia which he used to fire the salute on such occasions. 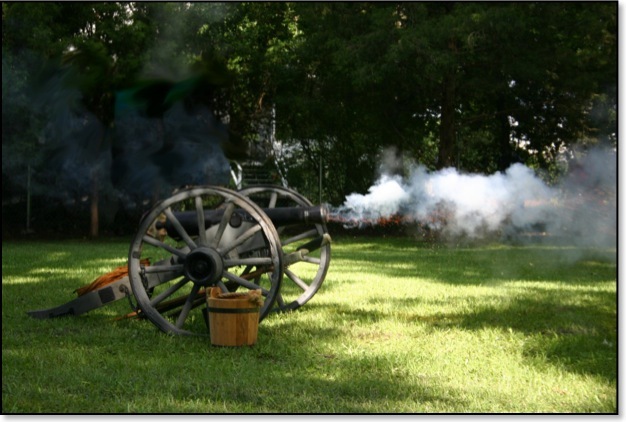 Whenever the cannon fired, it was a signal and invitation to neighbors to come celebrate, eat barbecue and drink rum. The Honans continue the tradition started by Terry’s great-4th grandfather with their four-pounder cannon which is fired during the Pilgrimage by a group of War Between the States reenactors and on the fourth of July by American Revolutionary War reenactors.